The crayons are back and brighter than ever in this board book of colors from the creators of the #1 "New York Times" Best Sellers, "The Day the Crayons Quit" and "The Day the Crayons Came Home." From the creative minds behind the "The Day the Crayons Quit" and "The Day the Crayons Came Home," comes a fun board book introducing young readers to colors. 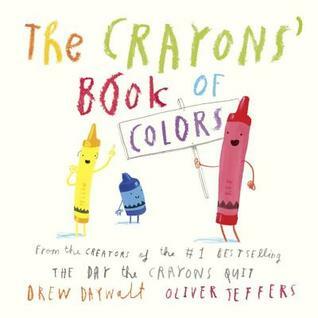 Using parts of the original story found in The Day the Crayons Quit, Daywalt and Jeffers introduce young children to their colors. Each crayon is introduced along with the things they have colored (red has colored Santa, strawberries, hearts, apples, and a fire engine. The inclusion of questions throughout the story give parent and child opportunities to talk about what's happening in the book. And the final page includes all the colors in one big picture, giving the child a chance to identify the different colors. This makes for a delightful introduction to both crayons and colors and the possibilities of both. Counting is as easy as 1... 2... purple?... 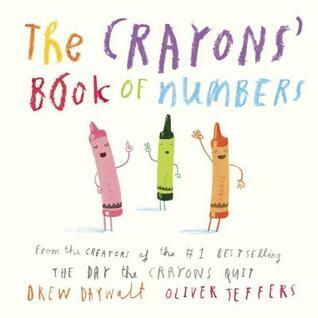 in this charming book of numbers from the creators of the #1 New York Times Best Sellers, The Day the Crayons Quit and The Day the Crayons Came Home. As the story opens, all of Duncan's crayons are missing from the box. The book takes the reader through counting the colors until they all return to the box. It's fun to see each crayon express feelings about what they are used to color or what they would like to be used for. I love the illustrations that Jeffers creates, they feel so childlike and friendly. And the variety of different things created gives parent and child lots of things to talk about as they read. This book would also make a fun way to introduce children to crayons and what they can be used for.